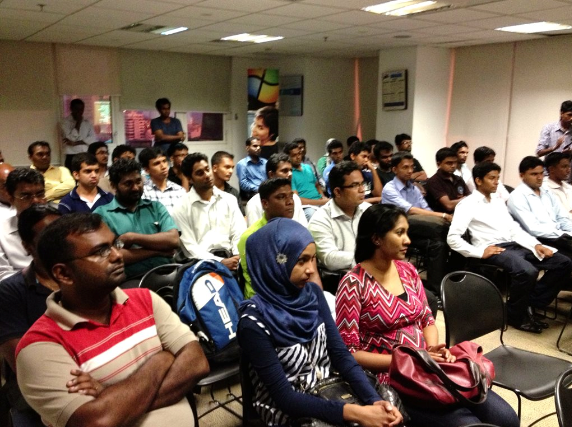 The monthly .NET Forum User Group meeting for May 2013, was held on the 2nd day of the month, and it attracted a total of 75 attendees who came to hear from Sri Lanka SharePoint Server MVP Joy Rathnayake speak on Visual Studio 2010 for SharePoint Developers. Joy decided to deliver the same session he presented at the Southeast Asia SharePoint Conference held in Singapore this year. “I explained what is new and changed in Visual Studio 2012 for SharePoint developers and it was interesting to see that most of them have tried Visual Studio 2010 but not 2012. It was exciting to see room-full crowd and it was a good start for me for year 2013” said Joy. 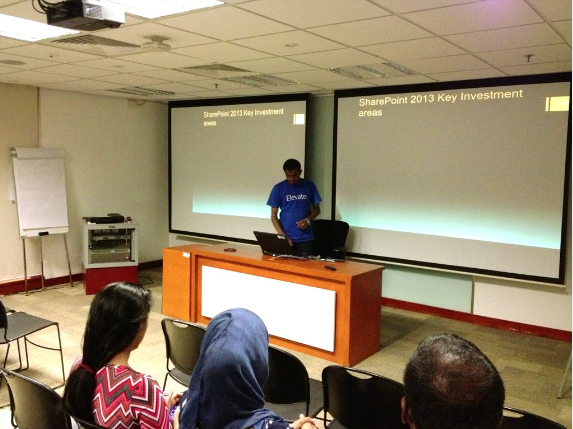 Don’t Miss Out Southeast Asia SharePoint Conference 2013 on January 16-17 in Singapore! ← EBook: Pocket Reference: Netduino For Beginners – Available Now In Kindle Version!